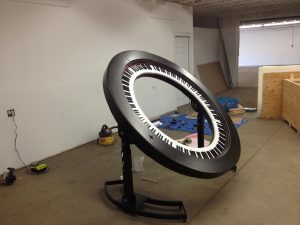 The world’s first PianoArc, we call it Serial #1 or SN1 for short, is going to be available very soon for relocation from its current spot in Southern California. We are accepting proposals for its use or sale. 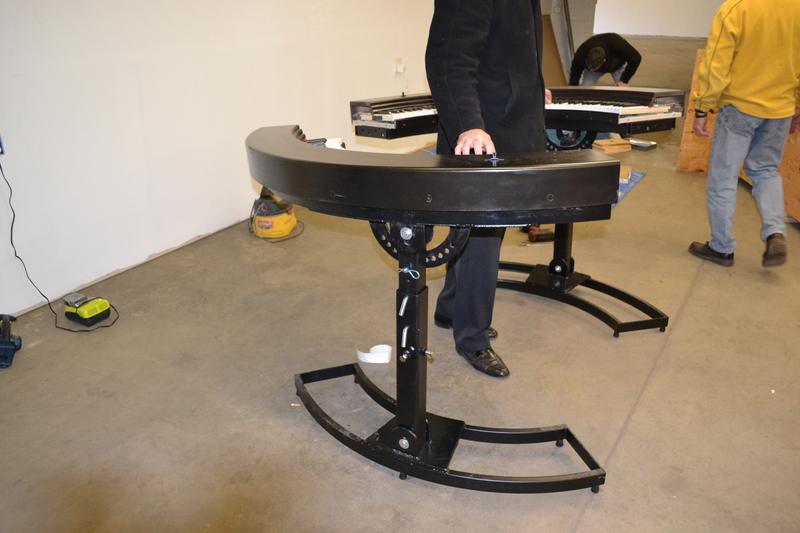 The original PianoArc has been described as “mighty” – it is somewhat larger and considerably heavier than our more-recent units. Visually it is striking, it is an extraordinary balance of innovation and art. Is a bonafide piece of musical instrument history. 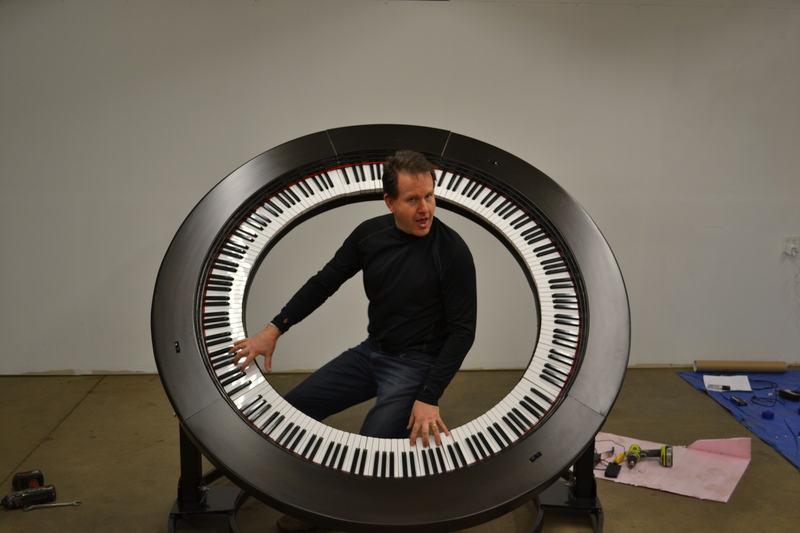 The world’s first playable circular keyboard. Debuted at the Olympic Stadium in Seoul South Korea in April 2012. 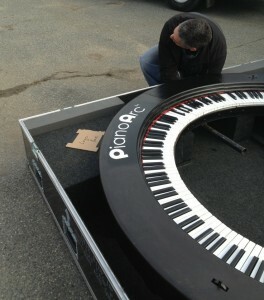 Has its own road tour case used on two Lady Gaga world tours. 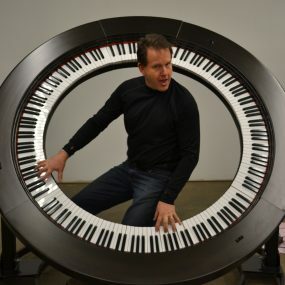 The instrument’s 4 keyboard (3 88-note, 1 30-note) sections of this unit CAN be separated – rendering it more portable than it appears in photographs. Keep in mind – it has NOT been separated much – and this procedure is not recommended for frequent moves. Has an adjustable tension action that can vary weight/feel per key.